1. 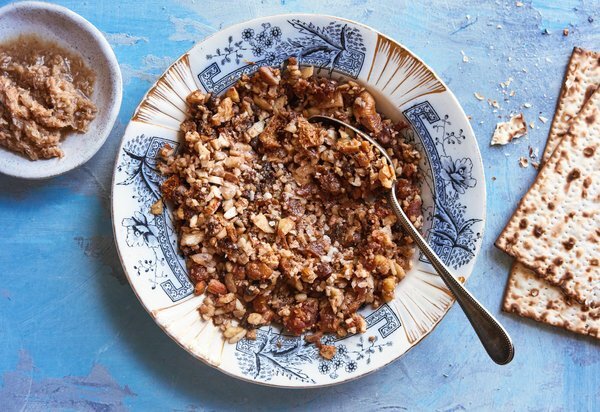 Place the almonds, raisins, apricots, figs, walnuts, apple, and chestnuts in the bowl of a food processor and pulse until you reach the consistency of your choice. 2. Add the pine nuts and stir in the cinnamon, ginger and wine vinegar. Pulse once more, adding enough sweet wine to bind the ingredients.